One of the young and dynamic politicians in India is Rahul Gandhi who is the valuable part of Nehru-Gandhi family. Rahul represents the political party ''''Indian National Congress'''' with his mother and former President of this political party Hon’ble Sonia Gandhi. Currently Rahul Gandhi is the Member of Parliament from Amethi constituency. Rahul Gandhi is son of the most renowned former Prime Minister Hon''''ble late Rajiv Gandhi. 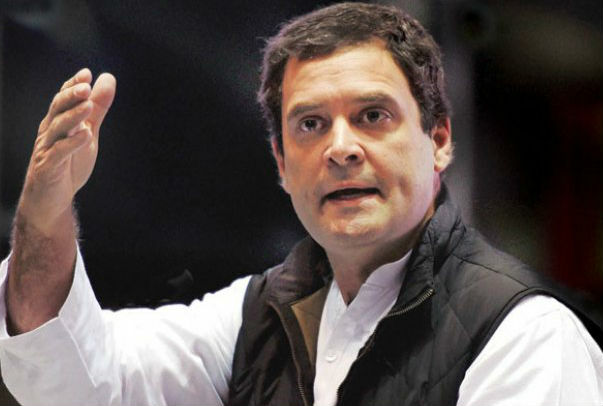 Being the most vibrant political leader, Rahul Gandhi is conceived to be the future Prime Minister of India. He was also appointed as General Secretary of Indian National congress Committee on September 2007. Rahul Gandhi is also an active political leader to represent Amethi Constituency. Amethi is a well-known city of Faizabad in Uttar Pradesh. Rahul Gandhi is a young Indian Politicians and truly inspires youth of India to come ahead for betterment and development of the country. Rahul aims to accomplish the true of dreams of his father into reality. He is striving best to combat the terror in our country and to bring advancement and empowerment of poor people or villagers. Know more about Rahul Gandhi by knowing his horoscope what challenges he has in future and whether he will get complete success in his political career. A birth chart (also known as kundli, janma kundali, or horoscope) is a map of heaven at the time of birth. Rahul Gandhi's birth chart will show you Rahul Gandhi's planetary positions, dasa, rasi chart, and zodiac sign etc. It will also allow you to open Rahul Gandhi's detailed horoscope in "AstroSage Cloud" for research and analysis.